Over the years, we have expanded our range of products and varieties. 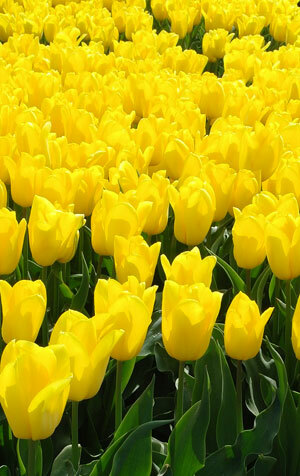 AMSONIA is your reliable partner in flowerbulbs (Tulipa, Lilium, Gladiolus, Iris, Narcissus, Crocus, Hyacinths). Within each family we every year introduce new varieties. Based on our own experience we select the best novelties and give them as trials to our customers. Besides the traditional varieties, we believe that it is important to refresh your assortment and keep it up-to-date. Our specialists can help you to make the right choice from our total assortment. Your personal selection will depend on your growing circumstances (climate, temperature, humidity, etc), your budget and your market (who will buy your flowers/plants and which varieties and colours are easy to sell?). Besides flowerbulbs, which are the biggest part of our business, we also supply young plants, (rooted)cuttings and seedlings of e.g. Lisianthus (=Eustoma), Matthiola, Azalea, Poinsettia, Cyclamen, Chrysanthemum, Alstroemeria, etc. AMSONIA also works closely together with producer of young trees and shrubs. These can be supplied in all varieties and sizes, depending on the wishes of our customers. Popular types are Thuja, Juniperus and Pinus. Other types can be supplied as well.